Most of the times servicing an used watch is not an easy task. You can get a dirty movement with a worn out parts, bended and rusted small pieces that are hard, next to impossible to restore or source. It can be a nightmare because a lot of times the watchmaker needs to evaluate the risks and choose the most safe way even though the result will be far from perfect. But, when we are dealing with NOS (new old stock) watches the situation is way different. In a good way, of course! Here we have two new watches even though they were made about 50 years ago. 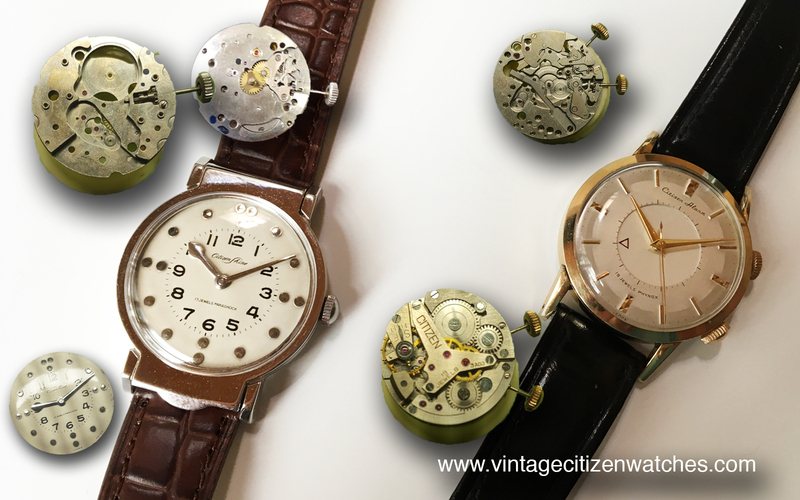 Citizen Shine – read about it HERE. Citizen Alarm disk – read about it HERE. After stripping down the movements they were cleaned, oiled and reassembled. No new pars needed, no, polish needed, there was no rust, no accidents along the way. This is the best you can get both as a collector and as a watchmaker.